MS&AD is Asia's largest insurer, with two operating entities Mitsui Sumitomo and Aioi Nissay Dowa. In Europe we are known as Aioi Nissay Dowa Europe or AND-E for short. We have traditionally focused on our close relationships with key Japanese partners, and this has allowed us to grow without significant above the line marketing activity. AND-E operates in two distinct market areas. Firstly we work as a white label insurer, acting on behalf of our strategic partners to help them to deliver insurance solutions to their customers. Our other market approach is as a direct insurer for Japanese related businesses, providing assistance to them for their corporate and employee needs. We also have a subsidiary life company, Aioi Nissay Dowa Life Insurance Europe (ANDLIE) based in Munich, and provides services such as credit life. Our other subsidiary is Toyota Insurance Management (TIM) and provides Toyota's insurance expertise. As a major global insurer we now wish to expand our exposure across new markets and risk types. To meet this opportunity our organisation has been developed to provide the expertise such an approach demands. Aioi Nissay Dowa Europe conforms to the following guiding principle: Kaizen, meaning continuous improvement. We always look for ways to improve upon all our products and services to ensure that our customers get the best from us. The approach we take is dependent upon the market in which we are operating, the product we are providing, the role we are playing, and what our partners require. 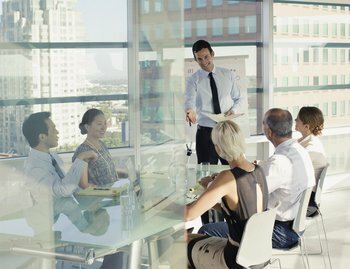 Each market we enter or product we launch is supported by insurance professionals from a variety of disciplines, from product design, regulatory and legal structure, and underwriting; through to sales processes, customer service and policy processing; and to credit control, claims handling and administration. Ultimately we wish to ensure that the implementation of these services (whether utilised individually or collectively) achieves a totally satisfactory outcome for all our clients and partners. You can download the documents here.